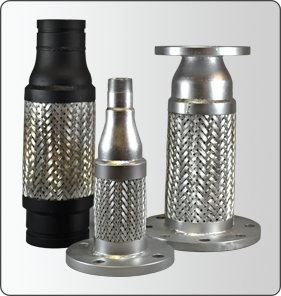 Increasing/Reducing flex connectors are designed to connect different sized equipment and piping, eliminating expensive field fabricated reducers and increasers. These quality labor saving connectors are available with flanged, grooved, threaded, and copper sweat ends. They can also be built for higher working pressures and operating temperatures.